EURUSD sudden decline left impact on other USD based currencies as well. USD may also gain more strength when the economic reports are out. The support rests at 1.30880 with resistance at 1.31540 which both lines are below the weekly pivot point at 1.31940. The EMA of 10 is moving with bearish bias in the descendant channel and it is below the EMA of 200 and the EMA of 100. The RSI is falling towards the oversold area, the Stochastic is moving in low ranges and the MACD indicator is in negative territory. The ADX is not showing any clear signals. 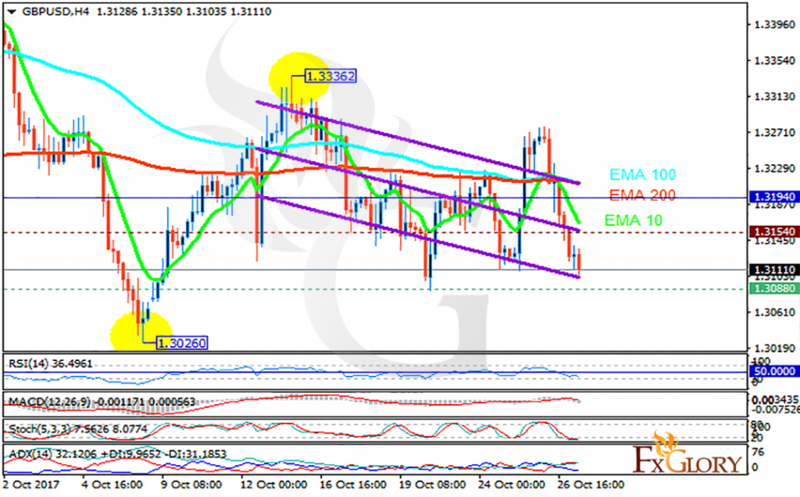 Short term traders can open their sell positions and target 1.3050.